Are you looking for dance classes in Blacktown? At Creative Dance Academy we teach ballet, jazz, tap, lyrical, drama, acrobatics and more for toddlers, kids and teenagers near BlacktownIf your child is talking about becoming a ballerina or just enjoys dancing in the living room, we teach a variety of dance styles for all ages. At our dance studios the young dancers explore the difference between different types of dance and can choose the one they like best. We welcome students of all ages and there is no experience required to join our casual classes. At all of our dance schools the young dancers learn different dance styles and movements, then put it all together and practise it in a choreographed routine while having fun and making friends along the way. 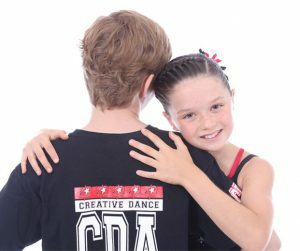 If you are looking to enrol your child in a dance school near Blacktown, Creative Dance Academy is the perfect place for you. Contact us today and we will help you find the dance class that is right for your child. You can also find more information by taking a look at our timetable. Gardens (Blacktown Leisure Centre), Jordan Springs, Vineyard, Cranebrook, Wilberforce and North Richmond. Our Stanhope Gardens studio is conveniently located near Blacktown. If you are looking for kids dance classes in Blacktown, contact us today, and we will advise which of our dance schools near you is most suitable for your child. Creative Dance Academy has been established in 1988. We have grown over the years thanks to our dedication and exceptional standard of dance education and training. We currently operate 6 established dance studios throughout the Penrith, Hawkesbury, Blacktown and Hills area.